Are you looking for ways to brighten the interior of your home? Maybe you’re ready to bring a little greenery indoors. You might even be looking for a way to get a jump start on the beauty of spring. Houseplants are a simple, affordable solution to all those circumstances. They’re more than decorative. They can also purify the air in your home and destress it as well. Here are five houseplants that you’ll love to look at, breath in, and enjoy. Ficus houseplants have been popular for generations. They’re noted for their striking appearance as much as they are for their ability to purify indoor air. 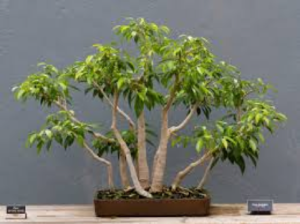 The Ficus is easy to care for, thrives even in indirect sunlight, and doesn’t require daily watering. A light misting will keep it looking good, cleansing your air and adding to your décor. Bamboo palms help you bring a tropical feel to your home, while also reducing the airborne formaldehyde that frequently accompanies new furniture additions to your home. It doesn’t require a lot of sunlight – it actually prefers low light – and even thrives in higher humidity. Just be careful not to water the Bamboo Palm too frequently and it’ll add season after season of tropical delight to your home. 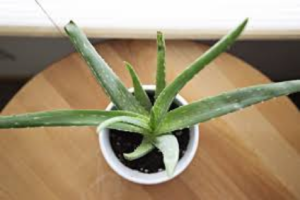 Aloe Vera houseplants flourish in moist soil, so they make regular watering a necessity. They have a variety of benefits that make them worthwhile additions to your home, though. When we say the Aloe Vera is versatile, we mean it! You can cut a small piece off your Aloe Vera plant to treat minor cuts, scrapes, and burns, its cuttings can grow new Aloe Vera houseplants, and it adds a touch of unusual beauty to any décor. Noted for their ability to clear the air, the Chinese Evergreen is an amazingly functional houseplant. It likes well-drained soil and indirect sunlight. For very little hands-on care, it has cleansing properties that are even noted by NASA! 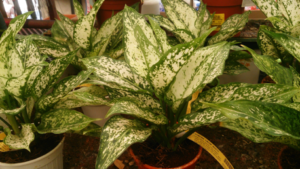 If clean air, a cool appearance, and lowered stress are what you’re looking for, the Chinese Evergreen is what you want. They also increase your home’s humidity levels and help reduce instances of respiratory ailments. 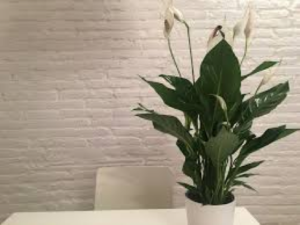 Not only is the Peace Lily singularly lovely, it also removes mold from the air inside your home. It does well in any room of the home – including bathrooms and kitchens – and is super simple to care for. The Peace Lily is hardy and robust and has a telltale droop that signals you when its ready for additional watering. It significantly reduces the levels of toxins in the air and makes your home healthier, which is sure make your whole family happier. 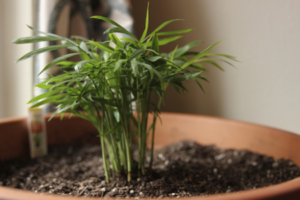 While these five houseplants are good for your health, they’re also aesthetically appealing. That means they freshen the air, freshen the look, and bring the beauty of the great outdoors right into your home. Choose one or more of the houseplants on our list to add serenity to your home and turn it into the relaxing sanctuary you’ve longed for.